With her, Palestine found what the media had long ago not allowed to be seen in those parts of the world: rebellion, beyond resistance. 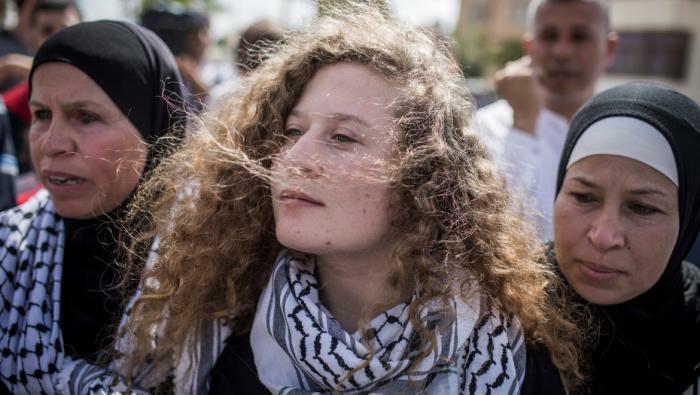 She entered the Israeli prison of Hasharon at the age of 16, with abundant curly hair, uncovered, and rebellion scattered among her belongings. Eight months passed from that day until the last Sunday in July, when Palestinian Ahed Tamimi, now 17, regained her freedom from the Israeli occupiers. With it, Palestine found what the media had long ago not allowed to be seen in those parts of the world: rebellion, beyond resistance. The teenager did not stand idly by in the face of the abuse of her family. The video, in which she is frankly dissatisfied with the Israeli violence against her brothers, was shown as a trophy of war, as if responding to the violence were, in this case, a peaceful exercise and not an act of rebellion. Because of the way they act, it is not possible to speak of the symbolic as something common. In a thinner and thinner strip, Tamimi gets up the way flags do and while some want to make it look like they’re touching the ground, the airs of real struggle make them rise to the top of the flagpole. Her adolescent face then emerges as a challenge to the status quo, even if the Israeli regime seeks to grab the pole with no other limit than to lower the Palestinian flag and keep the territory on the other side of the line. Moving the U.S. embassy to Jerusalem, the capital of Israel – a state conceived for the Hebrew vindication after the racist anti-Semitic war unfolded by fascism – sets in motion the conflict in which Tamimi emerges as the voice of an urgent humanitarian cause: the cessation of extortion against the Palestinians, who are increasingly losing their land, their freedom and even their right to a dignified life. Since she was imprisoned, Tamimi’s videos – the last of them slapping and kicking an occupying soldier in her village, the occupied West Bank, and the first threatening to punch a soldier after her older brother was arrested – have been manipulated in many ways. There are those who call them “Pallywood” in a mocking tone and say that the teenager is exploited by her family, who are accused of using her to try to provoke the Israeli soldiers. The difference between the two videos is several years. The most recent was recorded on December 15 and the oldest when Tamimi was 11 years old. Three out of four Palestinians detained by Israel are youth or adolescents. PHOTO: palestinalibre.org. Tamimi seems to have plenty of hope despite all that she experienced at her young age. In a certain way, she reflected this when she said: “power is in the people and the people are the masters of their destiny and their future”. Her followers responded with applause. The young woman also showed her solidarity with the Bedouin people of Khan al-Ahmar, who are awaiting demolition by Israel, and refused to answer questions from the Israeli media. Instead, she expressed appreciation for the media support received during the months of her imprisonment and hoped that the campaign for her release would be extended to the rest of the Palestinian adolescents who remain in Israeli jails. Remember that this girl was arrested in December and sentenced on March 21, after accepting a suffocating agreement with the Office of the Prosecutor and assuming the charges of aggravated incitement and aggression, among others. Thus they condemned the rebellion with Tamimi’s cause. It would be necessary to see in which court it is condemned to the Israeli soldiers, the “defenseless” ones that take to jail to these adolescents, only to give them a slaps full of dignity and love to theirs. – The Government of Israel applies the age of criminal responsibility for Palestinians to 12 years. In addition, children can be imprisoned for up to five years for just throwing stones. – Every year, between 500 and 700 Palestinian children in the West Bank are arrested and interrogated by Israeli forces before being tried in military courts. Most of them are accused of throwing stones. – Since 2000, some 7,500 Palestinian children aged 12 and over have been detained and tried by this judicial system. – According to a report by Defense for Children International, a total of 210 children and one girl are currently in prison in Israel, 34 of them under the age of 16. 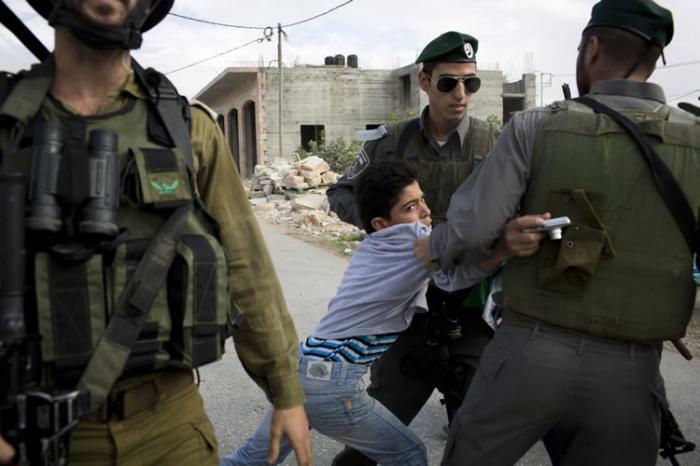 – Nearly two-thirds of Palestinian children and minors detained by the Israeli regime in 2017 were abused by their captors, according to a report by the Palestinian non-governmental organization Military Court Watch. – International law prohibits the use of the death penalty for crimes committed by persons under 18 years of age.